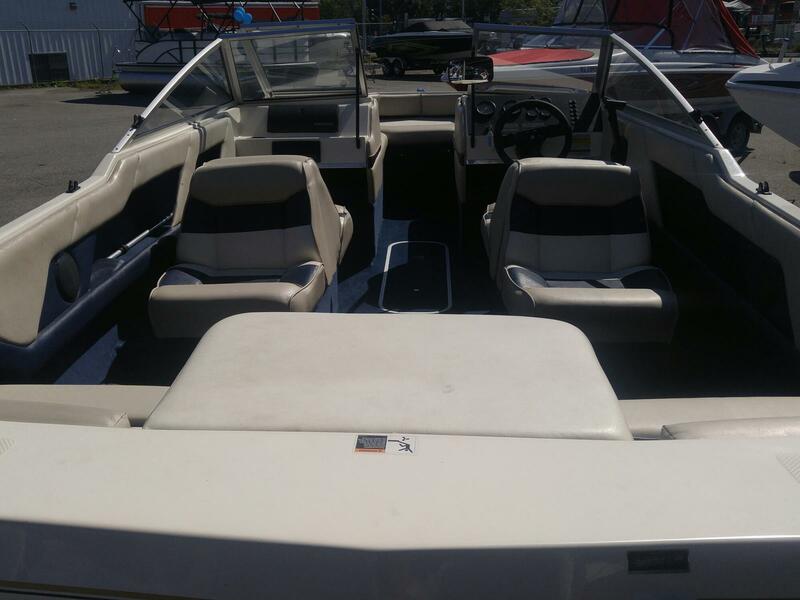 This one owner 1996 Bayliner Capri was sold from this location originally. 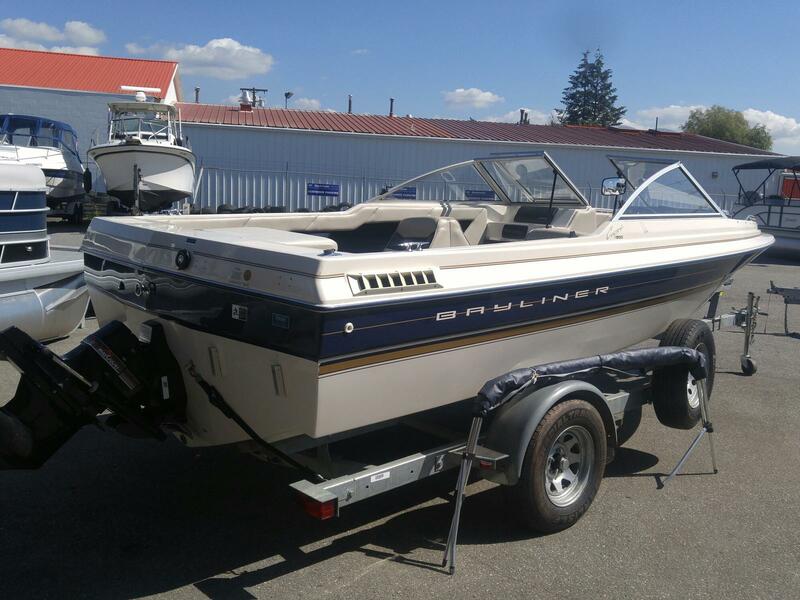 She has barely been used, has the original UPC labels on the housing, transom and trailer, and is in "like new" condition. 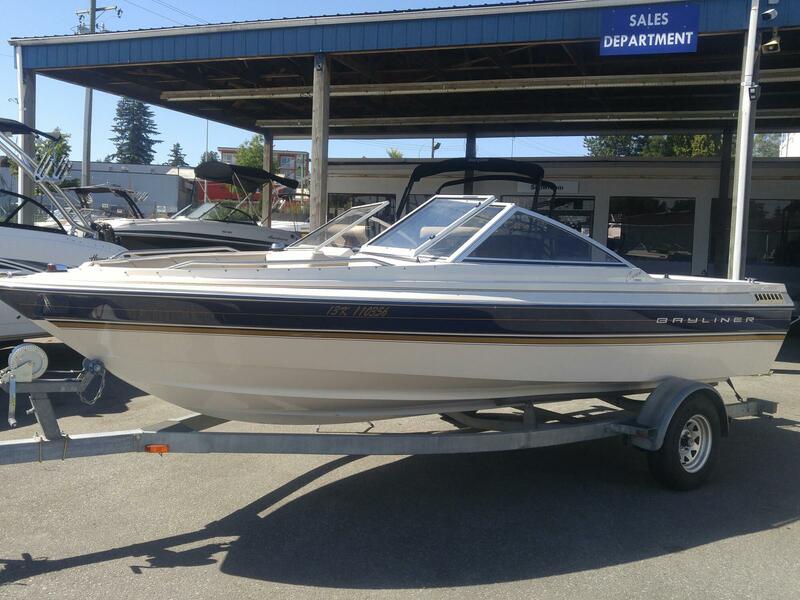 Due to lack of use, the engine seized, and is being replaced with a Mercruiser 3.0l that will have a full warranty! 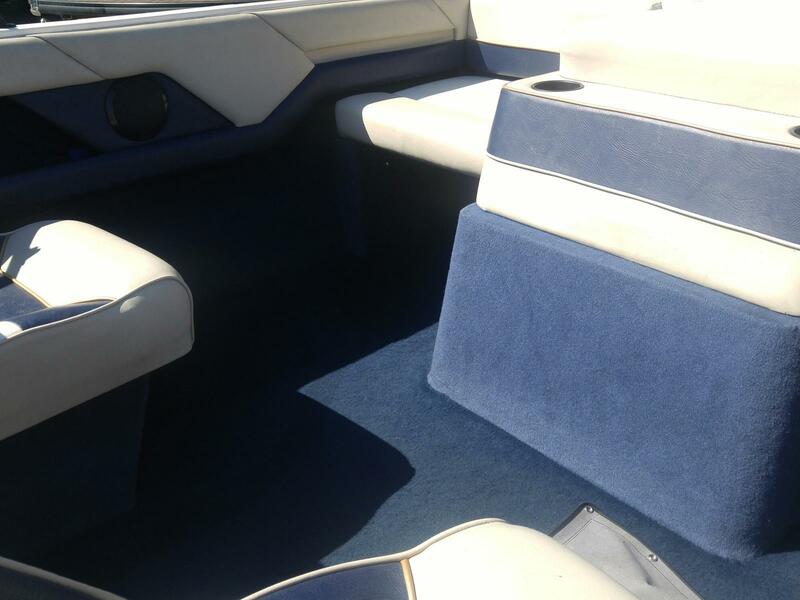 This is an exceptional opportunity to get a very clean boat, with new power, ensuring reliability for years to come! She has no rips in the upholstery, no tears, no fading, and was indoor stored. 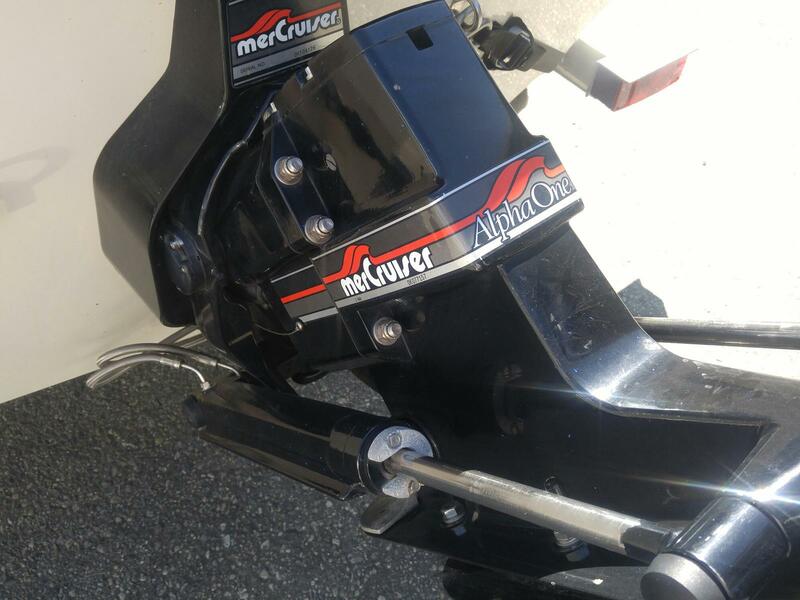 ski tow eye, and much more! 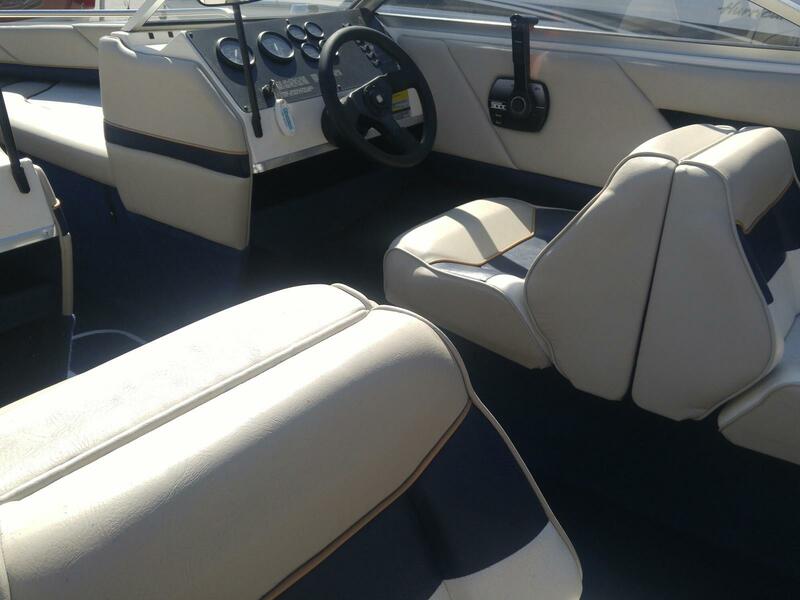 The 1950 Bayliner was the top selling boat of all time when she was produced. 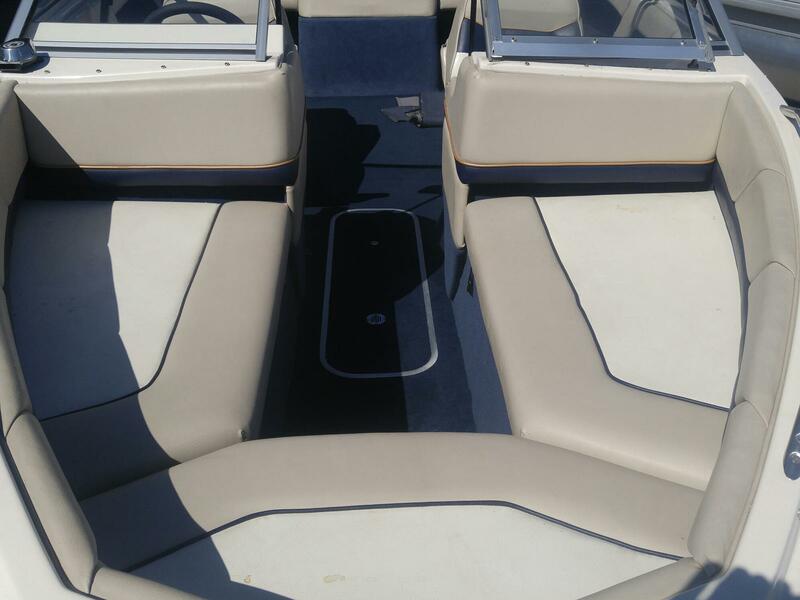 With a top speed in the mid 40mph range, and a true 19' inside with high sides, the boat is extremely versatile and efficient. 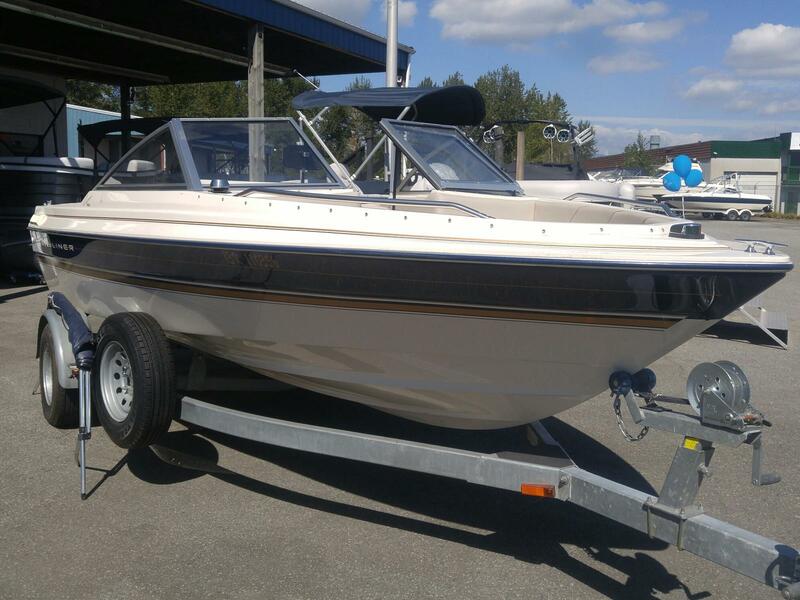 A great boat for fishing, cruising, touring, skiing, tubing, in a wide variety of water conditions! 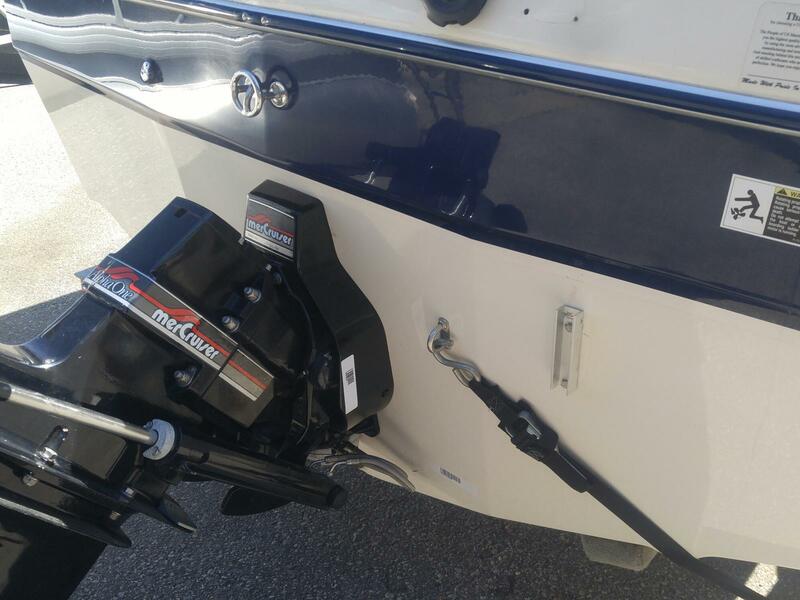 With wide gunwales, downriggers and rod holders are easily mounted. Polish, detail, warranty on the engine, and storage until Spring 2019 is included!